Indeed. A Sebenza or an Inkosi would satisfy that itch most satisfactorily. When you get your first, you will look at it like you might have your first HDS. Like, "Hrmmmm, this is the HDS? I dunno, it's kinda underwhelming." Then you carried it and grew to appreciate the minutia that makes it special day after day as you used it. That is also the Sebenza. You will be like, "This is a Sebenza? Hrmmm, not very flashy, or flippy or anything." But then you carry it day after day, and it becomes a part of your hand, and you start to appreciate all the little details that make it one of the more perfectly executed folders ever. Like the HDS, there are certain folders that do certain things better, but there are few that do all things as consistently well. Oh, mercy. How long did you hunt for that? The mammoth barks are pretty much unobtanium right? Like spirograph or river of fire damascus. PS: I would promise my firstborn for plain jane large 21 with a Raindrop Insingo, if they would ever agree to do Insingos in dammy. I feel like we have gotten off topic. Oh, wait the the topic is knives, we're good. I actually got really lucky and the mammoth bark found me. There was a dealer leading out his inventory years ago and I picked it up for I think 25% retail. This was way back before they discontinued the material and they were easier to come by. a raindrop insingo would be amazing! Both the HDS and CRK have a certain non-tactical aesthetic that I deeply appreciate. I also like the fact that CRK knives are not flicky, flippy knives. 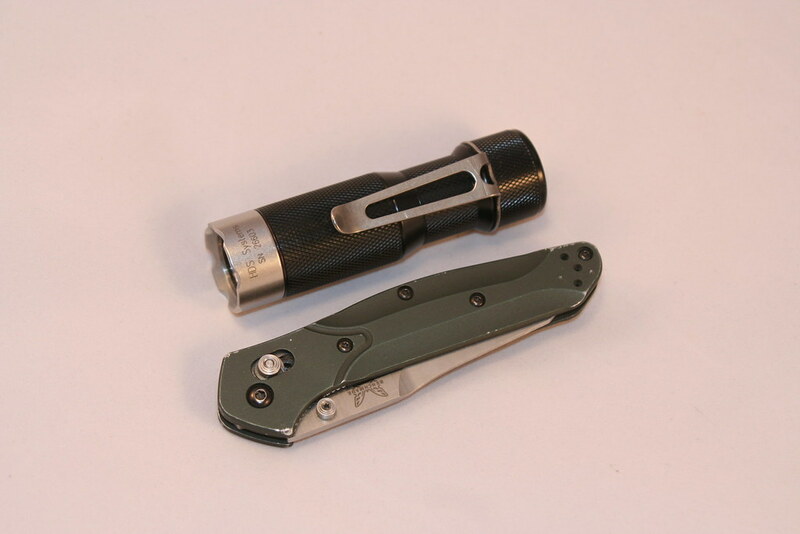 One might compare the fast action of pocket knife to turbo mode on a flashlight. These are things that I don't need or value. nbp is right on the money. At first, you notice how smoooooooth it is. The more you use it, the more you appreciate the small details that make it what it is. first of all...there is nothing wrong with a Spyderco to compliment and HDS...as long as you pick the right one. I have had many great spyderco's but have sold most of them off. I have kept my favorites though. If you go custom, options are endless, but these are some knives that didn't cost me too much and i love each of them. I would love to find a sebenza annual but not willing to pay what people want for them, would also like to find a sebenza with mammoth tusk to compliment my mnandi, but the same price premium no go applies. Ahhhhhh,is this what I was supposed to post? That's why I created this thread. I knew I could ask the knife nerd community, but then there would be as many suggestions as participants. There is something special about the HDS crowd. Whatever differences we have, we geek out on the same stuff. This thread seems to have turned into a CRK party. I'm 99% on the Inkosi, but I'm still doing research. As a critical thinker, I entertain every objection before I make a final decision. Right now, I'm scouring in the internet and reading the spewing drama of CRK haters. I did the same thing before buying into HDS. LOL! It is not about Haters? There are a lot of great choices and options and CRK is hardly the only obvious choice to me. Last edited by AVService; 04-15-2019 at 06:28 PM. Thanks, brother. ZT is on my map as well. Don't get me wrong, I've had a number of Spydies too. I think they are great knives and come in myriad styles, sizes, configurations, color, blade shapes and steels and prices. Almost anyone can get a quality knife from their lineup that will suit them very well. Frankly, I could probably get by in life 95% of the time with a Delica, but hey choices are nice and I find the CRK to offer a pleasure of use I don't get from a lot of other knives. ZT are also excellent folders. At the risk of getting flamed, I will say if you would like to get an outstanding Ti framelock flipper with excellent steel and fit and finish at a lower price than CRK, check out WE Knife Co. Yes, they are Chinese, and that's why I held off for a while, but curiosity got the better of me. I have one and have handled some others, and they make a heck of a knife. Different styling and design than CRK of course, but if you like their designs I would say you probably get at least 80% of the quality for 50% of the cost. I love my CRKs, but my WE goes into my pocket a LOT. Gonna throw out a little love here for my Benchmade Mini Griptillian with the G10 handles. The solid feel, excellent grip and crazy comfortable shape of the machined G10 handles combined with the way smoother action compared to even the custom griptillian due to the oversized bronze phosphor washers and a good steel for the blade CPM-20CV. Love the two toned look of the grey handle scales with the blue peeking out underneath. The axis lock works better here than in any other griptillian I swear somethings different. Went with the drop point blade on mine. No flippy. No flashy. No crocodile Dundee size compensation. Just a knife that works and works so well. Honestly hard to go back to carrying anything else except the Benchmade 51. Now that’s flippy and flashy. Haha. Last edited by InvisibleFrodo; 04-15-2019 at 07:51 PM. Old picture, but still a great combo. Axis lock holding strong? No concerns about reliability? Axis locks is one of the best locking mechanisms out there. At one point I had over two dozen Benchmades and never had a failure. I sold most all since for other reasons except my 710 and Ritter Griptilian. So far it works like the day I bought it. Maybe better being broken in. Sweet Beasts of a Knife I think. Just got to make sure you keep them clean. I used to do directional drilling, excavating, playing around sand, dirt, bentonite, etc and that style lock did not agree with that nature of work. Being you are an office guy you would probably be fine for your typical use. I used to have several sweet benchmades but sold them all off. Brand new they never came very sharp and i didn't feel like spending the time to get them right, when they should have arrived sharp. Otherwise great knives. I think my son may still have a mini grip but i now just edc an old traditional and carry a spyderco worker in my truck. My crks and other spydercos only see minor use as i don't really have a need for much of a knife anymore. No need to pull out a sebenza to open mail, a package or to cut a piece of rope, etc. I am assuming you are speaking to the O.P. here? I am not an Office Guy but I also do not work with Sand,Dirt and Gravel and do not doubt your claims of the Axis locks getting mucked up if doing so. I do like how easy they are to take apart and clean though too and mine have each come plenty sharp enough for my use. I would use a much less pricey knife if I had to work with abrasives a lot and I like the Rat knives a lot for reasonable knives that I can beat on and not worry too much about too. This is sort of the same reason that I do not EDC an HDS light in the first place though too. For my use I need a light that is just smaller and thinner and can be chomped on easily and/or used as a Head Lamp as needed and the HDS just does not do that for me. I can also carry a ZL in an 18650 and get much longer run time along with a more manageable light size and can buy 3 of them for the price of an HDS and in a tint that I love. I love my HDS lights for sure and they are not going anywhere either but that includes usually not going to work with me as well. This leaves me using mine in more casual settings then for a lot of reasons and the knives that I might pair them with will usually follow suit and not be my usual user knives though they are entirely capable of being one for sure. yes, I was speaking to Modern as I know he works in an office; not sure what his life is outside of work but I do know that he takes care of his things and takes measures to ensure that things stay nice. I think it's his OCD. I imagine most people do not work in a dirty environment though. Boy do I know that feeling. One of my all time favorite companies. Sold everything I had. Great knives!! Delightfully boring. Magically predictable, the way I like it. Truth is, I don't need a pocket knife. Or a pocket flashlight for that matter. My typical use for a knife outside of the kitchen is opening boxes. My typical reason for having a box is buying flashlights. I could break the circuit and save myself tons of money. No flashlights. No boxes. No knife. That will never happen, though. I do like my toys. I'm grateful for everyone's input. WE, including those manufactured for Massdrop, does make a really smooth flipper. My Ferrum Forge knives made by We. The WE Deacon also has me tempted. It is a Ferrum Forge Gent I got off Massdrop. The wood does make for a sharp looking knife. That is one thing that has me leaning towards finally getting a CRK despite preferring flipper action to thumb studs. I always have a Victorinox Explorer in my pocket. It's a small package that offers a solution to lots of problems. 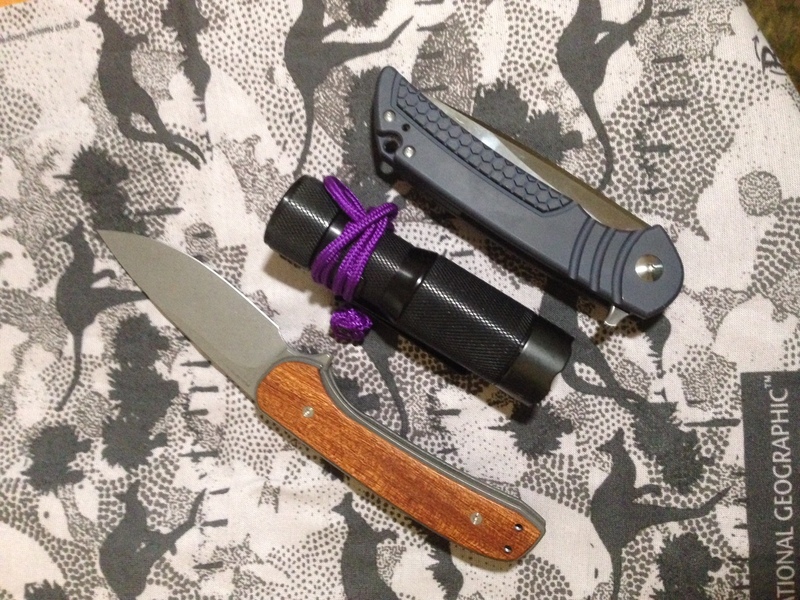 My edc is the non-threatening quietcarry bandit titanium. Does not scare anyone here on the East Coast. I sometimes carry a neck knife. Very handy but you would not believe how many people ask me if it’s legal?